Why are marketing gimmicks of any concern to anyone? As someone who pitches constantly, and deals with more than their fair share of rejection, it’s worth addressing that a tweet about a highly technical subject from an admittedly delicious brand of butter is a gimmick. Gimmicks are not a problem when used in conjunction with a larger marketing plan, but they’re not a marketing strategy unto themselves. F requently, I pitch large marketing and advertising campaigns that rely on multiple teams working together to execute multiple concepts at once. When I pitch one of these ideas and receive a response back along the lines like: “Why can’t we just make one of the Instaface pictures like Oreo did about the black out?” I immediately know two things. 1) This client probably needs more education than I have time for. 2) They don’t understand the difference between a gimmick and a campaign. O reo pulled out all the stops. They weren’t shy about working with gay rights, the mars rover, ZZ Top, or French Holidays. It was all fair game for them. 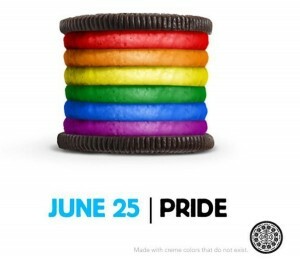 Were people upset that a cookie had views about Gay rights? Absolutely. Are there people out there who are going to listen to their children scream for Oreos and deny they don’t want to support the homosexuals? Absolutely. Do you think their solitary protests are going to undo all the goodwill imbued on this cookie and brand by the rest of the country? Not a chance. Oreo has always been a cookie backed by a strong family sentiment. 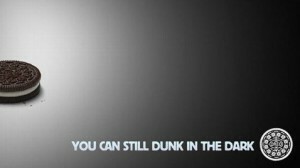 They have years of campaigns featuring families teaching, asking, and arguing how to best eat the cookie. The idea of family is changing, and part of their success derives from their willingness to address that. When does it stop being a gimmick? 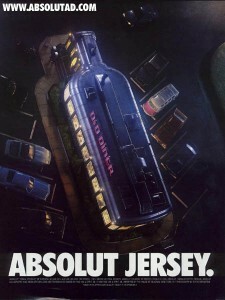 Absolut, which is a Swedish product in a traditionally Russian market had an uphill battle to market themselves. They were in a crowded market where the best products weren’t known for their flavor, but their quality. The main marker of that quality was the lack of contaminants and thus flavors. How did they make a name for themselves? Appropriation. Absolut spent years on appropriating their brand to glamor, sophistication, and quality. They targeted magazines, television, and sporting events. Their ads focused on everything from cities to personality traits. They weren’t selling vodka. They were selling things you identify yourself with, back to you. This is far more involved than just a picture with a cookie in it tweeted during the Super Bowl. It requires commitment, creative genius, and buy in from the brass. M usic is a place where a lot of people have what could be described as gimmicks. Electronic dance music is a particularly poignant example. 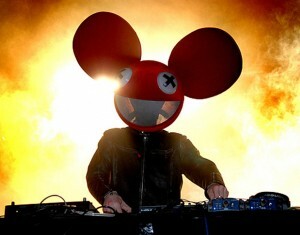 Daft Punk, DeadMau5, and Cazzette all immediately spring to mind. They wear ridiculous headgear while performing. Not unlike KISS wearing makeup, or Ozzie biting the heads off small animals, these are all gimmicks. Much like a brand though, all these guys had a great product before they started wearing a deceased rodent as a hat, or pretending to be robots. Dare I say Ozzie was a great musician before he started playing as a satanist? It’s the same as any other product or service. The product enables the gimmick, the gimmick does not enable the product. Work hard to make sure your marketing is going to be well received because of what people find on the other end, not the marketing itself. Absolut is a great Vodka, Deadmau5 is a talented producer, and Daft Punk are prolific musicians. Do yourself a favor and make sure no one can detract you for your gimmicks because of your product. Then you’ll be ready for an Instaface campaign.